I’m thrilled to be back in the community where I grew up. Many patients may experience dental pain in their lifetime, and being able to offer endodontic procedures and extractions to relieve their pain is very rewarding for me. I have a passion for performing wisdom tooth and other general extractions, under sedation if necessary, and for providing endodontic treatment. Outside of the office, I enjoy traveling with my wife, playing sports, being outdoors and spending time with family and friends. Every one at Park Dental have always been very kind and Doctor Wertz does an amazing job. 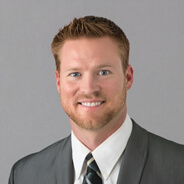 Dr. Wert is an asset to Park Dental. Dr Wert has amazing confidence, fast, and no pain plus he is really good at giving the Novacaine shots. Dental review, brief and well handled...as I like it. Doctor was very good. No recommended changes. Dr. Wert is excellent, I would send any of my family or friends to him. felt as if they were looking for more.example no cavaties,they acted as if we'll we can get more money next time if we wait..been here many years.all has changed since I switched insurance. This was my first time seeing Dr. Wert so I can't say that my confidence was "very good" as I was a bit nervous about seeing a new doctor. He was very nice though and I had no issues with his abilities. Thankful for Park Square Dental's professional approach! I really liked the doctors and hygienist, as well as the reception staff (and my mother praised the appointment-making staff). Dr. Wert is very professional, curitious and uses language understandable to patients. He thoroughly examines my mouth and discusses any issues now and possibly in the future. Would not consider going anywhere else. Hygienist and Dr. Wert are outstanding! Dr. Wert is great, he is kind and knowledgeable, I trust he is always making the best decisions for my dental care. It was a routine visit - cleaning - didn't have any problems. Dr. Wert is the best dentist I've ever gone to and I am 55 years old! Dr Wert is great! Very kind and gentle. For the 2 minutes the doctor was there, it's really hard to rate anything about him or his efforts. It seems your practice is about minimizing the amount of time doctors actually gave with patients. the only reason I found out his name was because it showed up in the survey. This isn't a poor reflection on the dentist, just a reality of your practice. Dentist spent maybe 2 minutes with me. I didn't feel that it was a very thorough exam. Either he's really good at his job, or really poor. Dr. Wert was extremely professional and caring. He put you at ease and explain everything in laymen's terms so it can be easily understood and clear. if I could rate higher than a 5 for some of the Dr's ratings I would! The doctor was there very briefly. I had indicated I was interested in teeth whitening on the paperwork I filled out but the doctor did not even mention it. The dentist was very nice and communicative - seemed to welcome my opinion. I was in quite a bit of pain prior to my root canal. Going into the appointment I was very nervous about how painful the procedure would be. Dr. Wert did a great job at keeping me comfortable during the procedure. Afterwards I was able to continue my day without skipping a beat, I didn't even need to take ibuprofen the rest of the day. It's a relief to be able to eat again without the sensitivity to cold I was experiencing, wish I had come in sooner. Thanks again! When you see the dentist for less ha. 3 minutes, there really isn't time to build any kind of relationship hat needs to be evaluated. it's like a factory. Efficient. Neither good nor bad, it's just life in today's corporate dental practices. When dentist enters the exam area he should come forward of the patient who is prone in the chair and say hello and wash his hands. He stood behind me when he came in and I could not see him; just heard his voice.